This was quite hard to locate because it has been modified a lot, the windows especially. But it can be identified by the little plaque on the wall of something like a cherub. 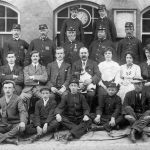 Postmaster in 1900 was one Frederic William Bailey (listed under Barton Turf). 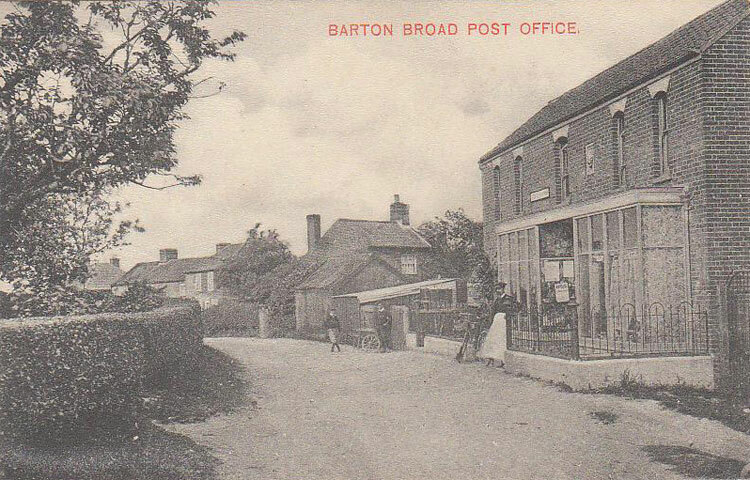 We are a community heritage group based in Barton Turf, Neatishead and Irstead and we would like to use your picture above of the Barton Broad Post Office in our upcoming newsletter. We want to compare your postcard image to one taken in 2018 as part of a Then and Now piece. I hope that is ok. We will, of course, give you a credit in our newsletter. Yes that’s fine by me.